start_date – The date from which to start. 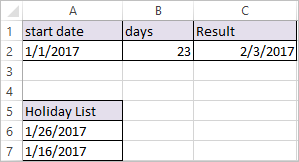 days – working days before or after start_date. holidays – [optional] A list dates that should be considered non-working days.